One Whole Month of EASY School Lunch Ideas for Kids! Home > Recipes + Food > Easy Lunch Ideas > Easy School Lunch Ideas for Kids – One Whole Month of Ideas with No Repeats! Stuck for easy school lunch ideas for kids? Well how would you like a whole month’s worth of options that even your picky eater will love? Because that’s exactly what we’ve got for you today! Does the thought of preparing school lunches for your kids fill you with dread? 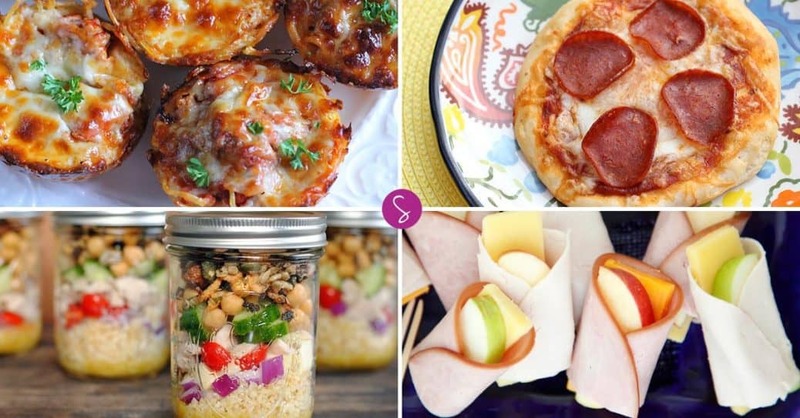 Don’t worry because we have rounded up an awesome collection of ideas for you, in fact we have one whole month’s worth of easy school lunch ideas for kids, that even your picky eater will love… with no repeats! 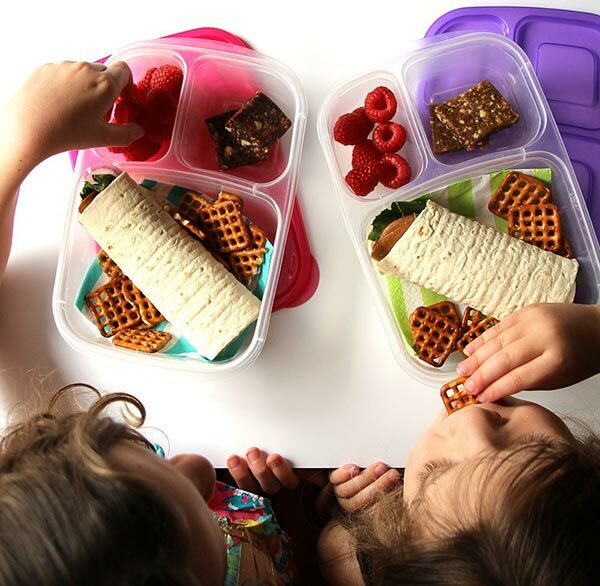 So you no longer have to worry about running out of time every morning and sending the kiddos off with a dull cheese sandwich and grapes combo, and they won’t have a chance to get so bored of their lunch that they trade it in with a friend for a much less healthy option. The key to variety when it comes to school lunches is to be prepared and have a plan. 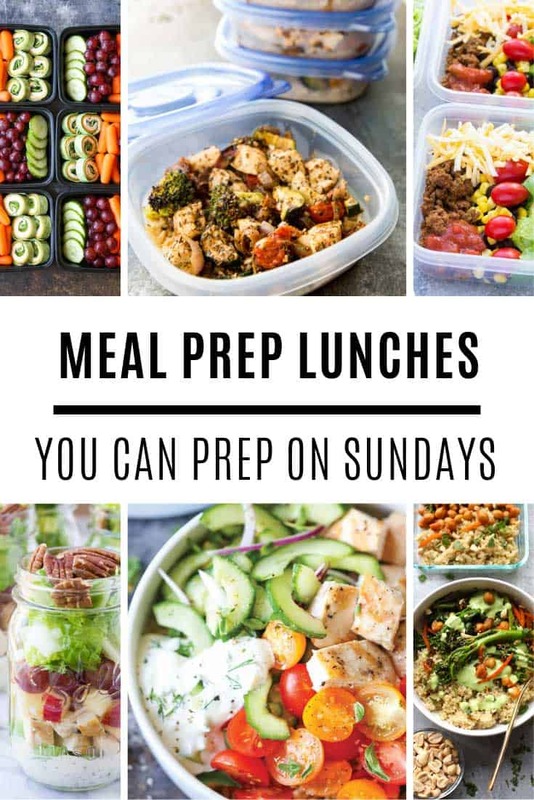 This list of lunch ideas will be your plan, so you know exactly what your kids are going to eat each day, and therefore you can make sure you pick the right ingredients up as part of your grocery shop. It also helps to have an awesome lunch box, like this one which has three sections for keeping the lunch items separate. 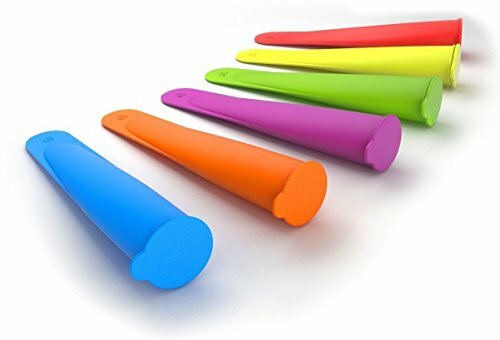 Some silicone ice pop containers, like these so you can send the kids off with frozen smoothies which will melt just in time for lunch. And a no leak water bottle, like this one, so your kids get their daily dose of H20. 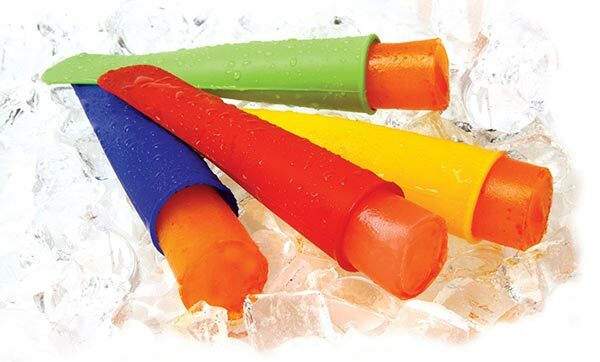 Oh and if you’re not including anything frozen in the lunchbox you’ll want an icepack, so don’t miss this genius post on how to make your own icepack! It’s so much cheaper than a shop bought one so it doesn’t matter if they lose it, and much lighter to carry too. 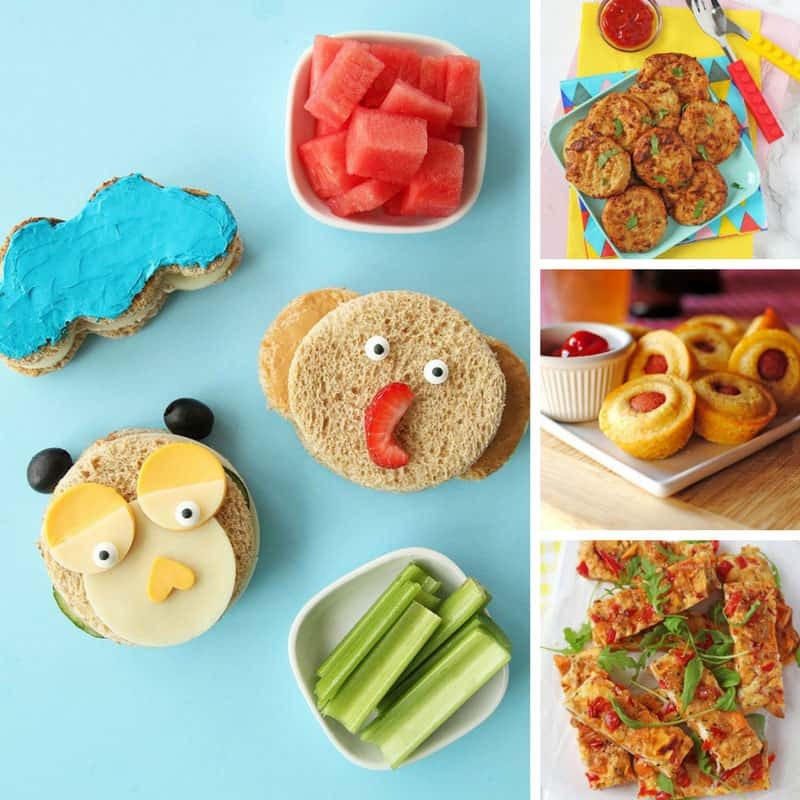 First up we have 20 different easy lunch ideas for kids, all of these recipes are kid-approved and easy to prepare because we know you’re short on time. And finally why not include a small treat to round off their school lunch with a bang! You can save even more time in the kitchen by ordering your snacks in instead of making them from scratch. Each graze box is made up of perfectly portioned snacks based on your kid’s tastes and dietary requirements. There are more than 100 snacks to choose from so they’ll never get bored, and might even be encouraged to try something new! You can have your snacks delivered once or twice a week, and the box is small enough to fit in your mailbox. And the best part is that if sign up via this link right here your first box is completely free! There you have it, 20 main lunch items, some healthy sides and a handful of treat ideas. You’re all set for a whole month of school lunch ideas for kids! And don’t forget you don’t actually have to physically send your child off to school to put these lunch ideas to good use. Even homeschooled kids need a little variety in their lunch life right?